✦TOP QUALITY✦ Hand selected AAAA quality round white Freshwater cultured pearl bracelet. Our Freshwater pearls are imported directly from the pearl farms of China and represent the finest luster & quality. This pearl bracelet is accompanied by a Genuine Cultured Pearl Guarantee. ✦PERFECT FOR GIFTING✦ Packaged in an elegant jewelry box, making gifting a breeze. 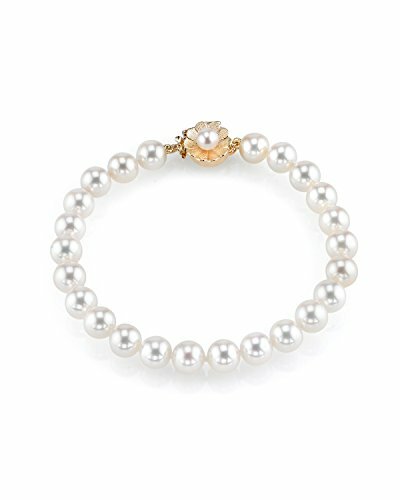 This pearl bracelet makes the perfect Christmas gift, birthday gift, bridesmaids gifts, or anniversary gift for women.